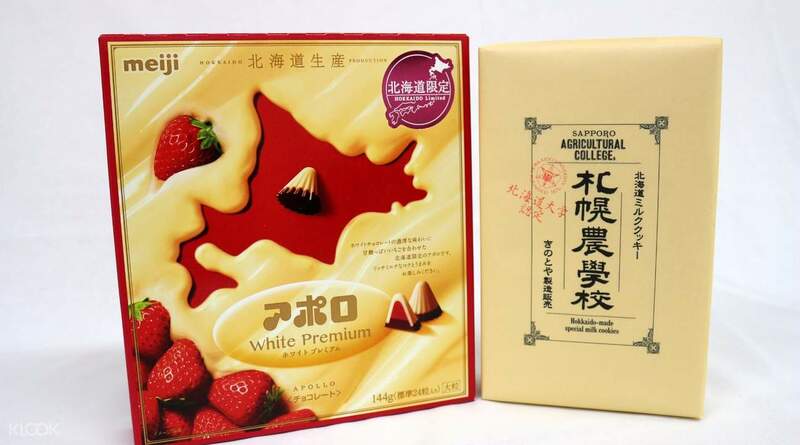 Treat yourself to some unique, Hokkaido-exclusive snacks with these delicious dessert snacks! Book in advance and enjoy convenient pick up services at New Chitose Airport or JR Chitose Station! The cookies and chocolates taste amazing. One of the best out there. Indulge your cravings, satisfy your sweet tooth, and bring home a piece of Hokkaido all in one with these two tasty treats exclusive to the city! 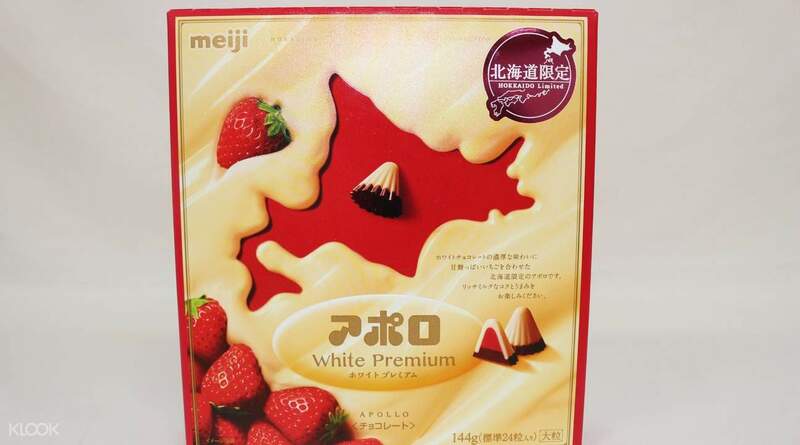 Try the unique combination of sweet white chocolate and tangy strawberries with every piece of Meiji's Apollo White Premium. 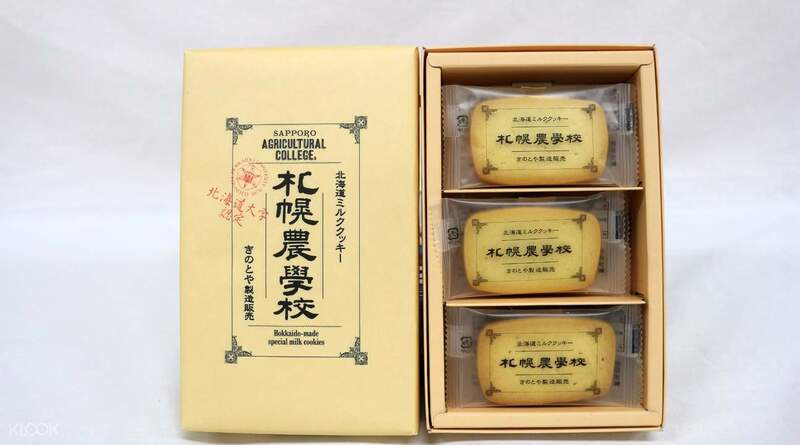 Savor the delicious, melt-in-your-mouth flavors of the Sapporo Agricultural College Cookies, with a light texture paired with the creamy goodness of milk sourced locally from Hokkaido. Both products also have attractive and easily-stored packaging that make them ideal gifts and souvenirs for friends and family back home. Enjoy a convenient, hassle-free pick up service at either New Chitose Airport or JR Chitose Station by booking through Klook! Simply select your preferred pick up date and location at checkout, along with the number of souvenir packages you're getting, then present your voucher to the staff, and you're good to go. Book with Klook for easy reservations and convenient pick ups at New Chitose Airport or JR Chitose Station! I love these cookies! Though PH has something similar tasting for Much Much cheaper (lengua de Gato, haha). The cookies were great! And the chocolate also very very good! It was a bit of an effort getting them though. Should have opted for INTERNATION AIRPORT PICKUP instead of JR Chitose (the latter is 2 stations away from airport, you will NOT pass by it if you use any form of shuttle). I love these cookies! Though PH has something similar tasting for Much Much cheaper (lengua de Gato, haha). The cookies were great! 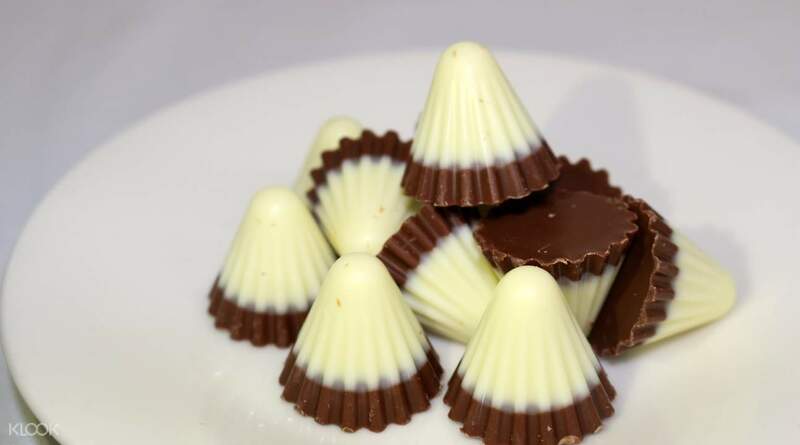 And the chocolate also very very good! It was a bit of an effort getting them though. Should have opted for INTERNATION AIRPORT PICKUP instead of JR Chitose (the latter is 2 stations away from airport, you will NOT pass by it if you use any form of shuttle). The cookies and chocolates taste amazing. One of the best out there. The cookies and chocolates taste amazing. One of the best out there. Good, time saving, pick up at the airport right before leaving japan. Good, time saving, pick up at the airport right before leaving japan. Quite a walk from domestic airport but had no problems picking it up. Quite a walk from domestic airport but had no problems picking it up. Easy to collect and its one of the popular snacks in Hokkaido to buy. Easy to collect and its one of the popular snacks in Hokkaido to buy. the booth was at the very end of the 2nd floor of the international airport departure area...the booth was still close when we arrived to pick up our orders... we tried asking other airport staff for help contacting them because our flight schedule had suddenly changed and we had to leave earlier than 930 am... klook reply was later and we had to leave the airport without our ordered items... upon contacting klook they said that a refund was no longer an option and that i was considered a no show despite having tried to contact them regarding the matter and having tried to wait at the counter for as long as we could before boarding our plane... they offered no other options for us so we lost money on this transaction with klook ( no orders picked up and no refund whatsoever) .... better to have bought the very same items which are readily available at the airport duty free shops that had plenty of options... lesson learned for us.. the booth was at the very end of the 2nd floor of the international airport departure area...the booth was still close when we arrived to pick up our orders... we tried asking other airport staff for help contacting them because our flight schedule had suddenly changed and we had to leave earlier than 930 am... klook reply was later and we had to leave the airport without our ordered items... upon contacting klook they said that a refund was no longer an option and that i was considered a no show despite having tried to contact them regarding the matter and having tried to wait at the counter for as long as we could before boarding our plane... they offered no other options for us so we lost money on this transaction with klook ( no orders picked up and no refund whatsoever) .... better to have bought the very same items which are readily available at the airport duty free shops that had plenty of options... lesson learned for us.. Thank you for choosing Klook and taking time to leave us with a review. Kindly be reminded that there would be detailed terms and conditions for each activity. Please refer to the cancelation policy before making your purchases on our website as some activities cannot be canceled once booked. We appreciate your kind understanding and cooperation. Thank you! Thank you for choosing Klook and taking time to leave us with a review. Kindly be reminded that there would be detailed terms and conditions for each activity. Please refer to the cancelation policy before making your purchases on our website as some activities cannot be canceled once booked. We appreciate your kind understanding and cooperation. Thank you!